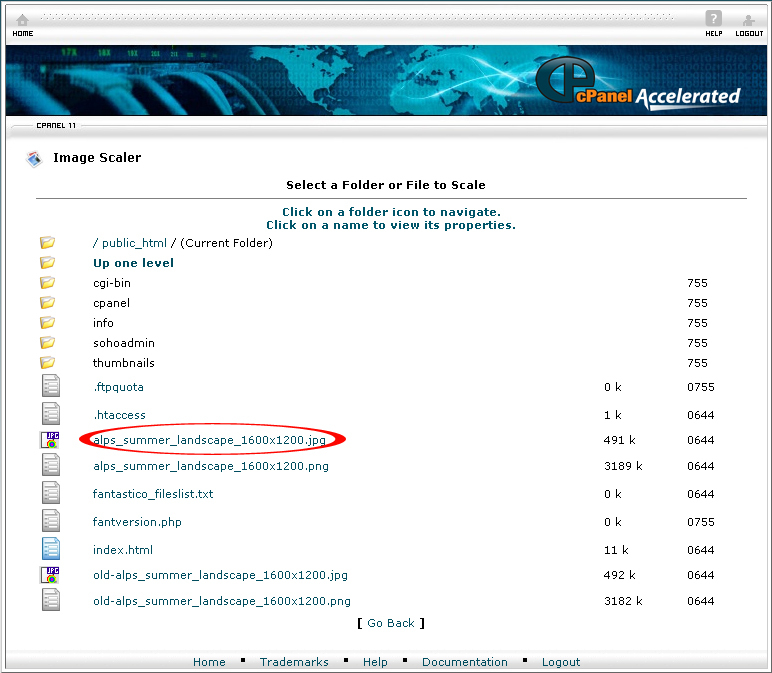 The Image Scaler allows you to resize a single image by changing the percentages to scale the image. 1. 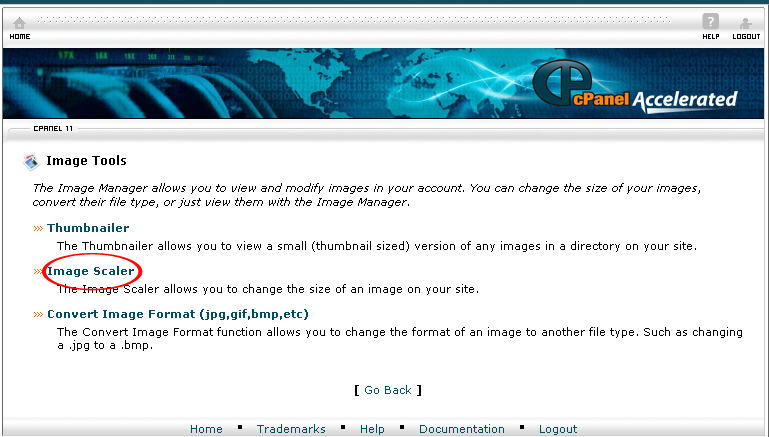 On the homepage of your cPanel, click on the Image Tools icon under Advanced. 2. Click the Image Scaler link. 3. Select the icon of the folder which contains the image that you want to rescale. 4. Click on the image that you want to rescale. 5. Type in a new value in the New Dimension textbox. If you want to rescale the image with percent text, type in the percentage that the image should be resized. 6. Specify the location of the rescaled image and then click on the Scale Image button. 8. If you want to reset a value, click on the Reset Dimension button. 9. Your Image is now rescale to the dimension you specified. If you follow the instructions above, you will be able to use the Image Rescale to resize the image.